What makes a good player a great player? Even the most loyal and ardent cricket fans often find it a little difficult to answer this rather convoluted question. While it is almost inevitable that we often end up listing our favorite good players as great players, we never actually recognize the profound and stark contrast that separates them individually. Of course, we have first hand empirical proof in the form of runs aggregated, batting averages, bowling averages, strike rate and so on, but there will never be any tried and tested formula to assess and accordingly categorize a player’s impact on the game. Very rarely are we able to witness a player whose greatness is universally acknowledged and globally contagious. We are talking about the one and only Rahul Dravid. His records speak for themselves. He has aggregated runs in the most testing conditions. He has played his favorite shots at will against the most menacing fast bowlers and the most articulate and crafty spinners. In this article, we shall attempt to look beyond the staggering numbers that meet the eye and closely observe 'The Wall'. In the late 90s and early 2000s, the India's batting line up was a firmament of stars, both literally and figuratively, with names like Sachin Tendulkar, Sourav Ganguly, VVS Laxman and Virender Sehwag on the team sheet. Rahul Dravid was a name loved by one and all, and he was often involved in famous partnerships that often pulled his team across the line. 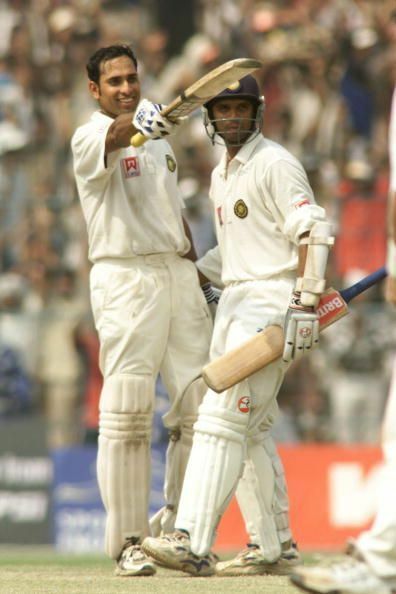 His partnership of 376 runs with VVS Laxman in the epic Kolkata test match in 2001 is one such instance where Dravid was the game’s gentleman in the truest sense and made room for his teammates to bask in the glory of their achievements. 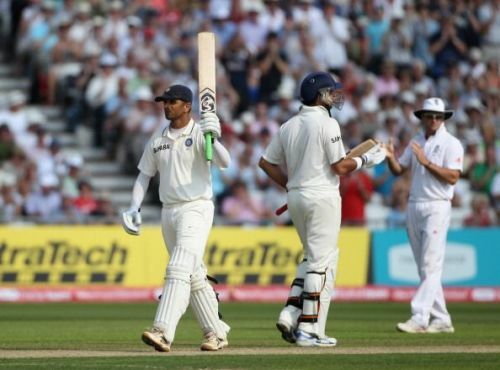 Other such impressive partnerships include a 318-run stand with Sourav Ganguly, a 331-run stand with Sachin Tendulkar and a 410-run stand with Virender Sehwag. Dravid's innate ability to anchor himself to the crease and ensure that the entire team performs well has truly set him a class apart. He was not the extremely defensive batsman that many assumed him to be. His knock of 50 runs in just 22 balls against New Zealand at Hyderabad in the 2003 TVS Cup and 92 runs in 63 balls during the second ODI of India’s 2007 tour of England are some of the many instances when 'Mr. Dependable' gave the world a glimpse of his offensive batting style. Rahul Dravid was always a team man. He readily donned the wicketkeeping gloves when India were in need of a wicketkeeper batsman, even though he had not undergone any prior training to keep wickets. 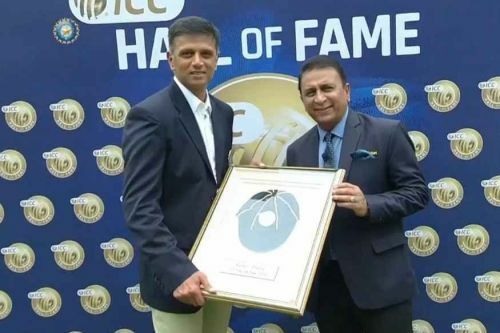 The life and career of Rahul Dravid teaches us that a man’s due recognition and acclaim can escape his grasp, but not for long. The important thing is to keep a positive outlook and develop willingness and character that transcends personal records and puts the needs of the team above individual achievements. After serving the nation in the capacity of an international cricketer, the legend has quietly bowed out of the limelight and is now the head coach of the India A and India Under-19 team, which is a role he readily took up while declining many lucrative offers and deals that would have allowed him to strengthen his financial prospects. The former captain and his young guns will now have to prepare for the ICC Under-19 World Cup, which is to take place in 2020. In a typically unassuming fashion, Rahul Dravid continues to be Indian cricket's greatest servant.